I'm dropping the "Distant Past" descriptor from here on out. All this stuff is still six years old but typing all that useless text is getting tiring. Besides, this post is different from its predecessors so it's a good cut off point. So, what makes this entry so different? It's a custom. (Although you might have gathered that from the title.) 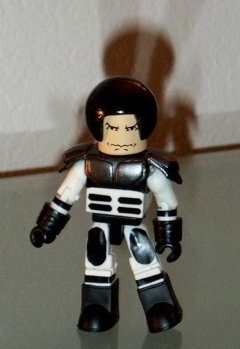 Yep my first Minimate custom, one of the security guards from the movie Spaceballs to be precise. I wasn't one for permanently altering my 'mates so read on to find out the recipe. Continuing with the multi-panel toons and Innerspace figures. Our good captain gets a little too wrapped up in his own world. From here on out, the thumbnail images won't be as repetitive as the last few posts. 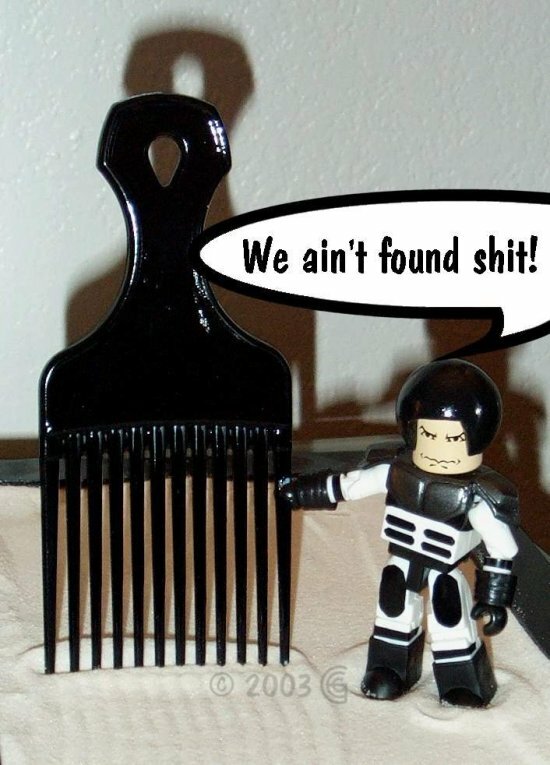 Minimate Labs is a personal vanity site for Ivan's Minimate related projects. No scientific merit is implied.